This is a very cool looking button. This is the version listed as VA30 in Albert's button book. These buttons were made for the city of Richmond. 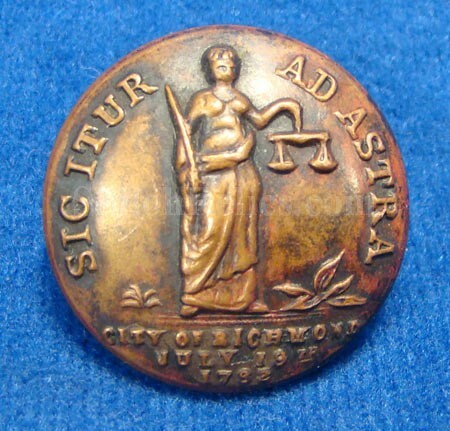 The face of the button has the seal of the city of Richmond and at the bottom has the date the city was founded. 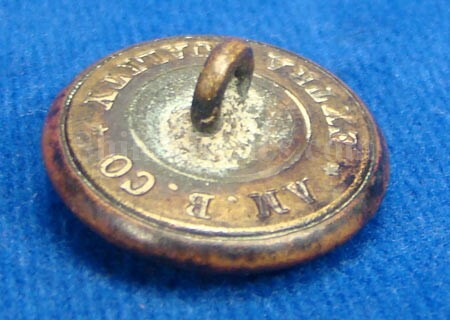 On the back of the button this one has the maker's Mark of the American button company that was located in Newark, New Jersey. This backmark would date the button from around 1910.